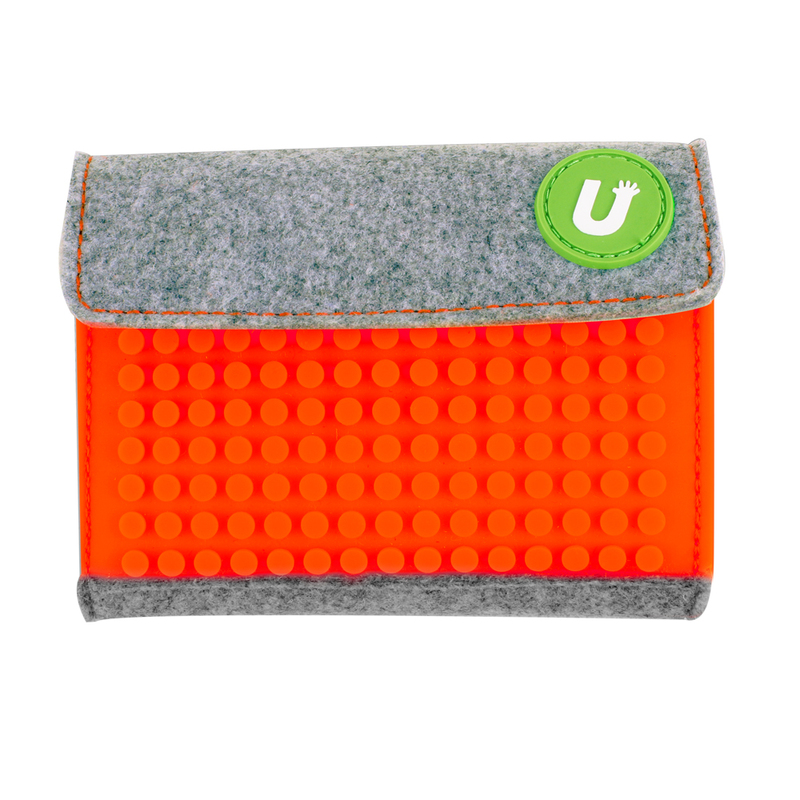 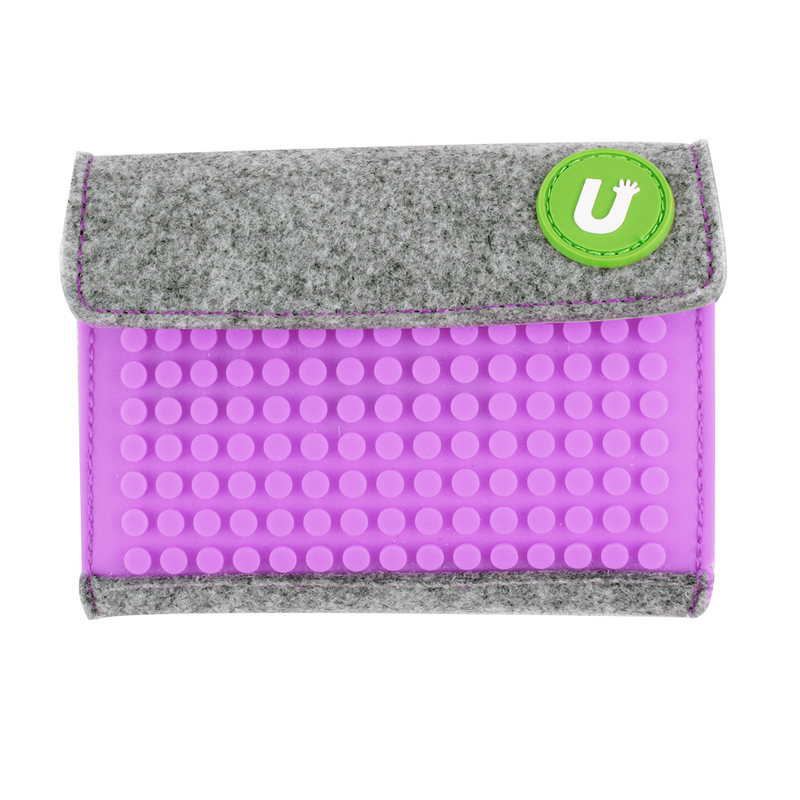 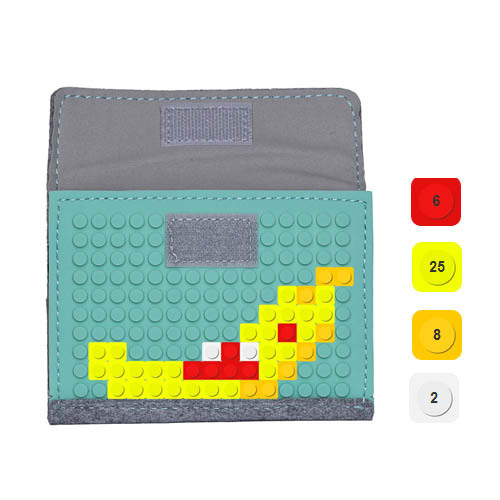 Colourfull Pixel wallet with a patented silicone panel sized 15x10 pixel points, which means you have 135 positions for expressing your ideas.The wallet has a velcro closing. 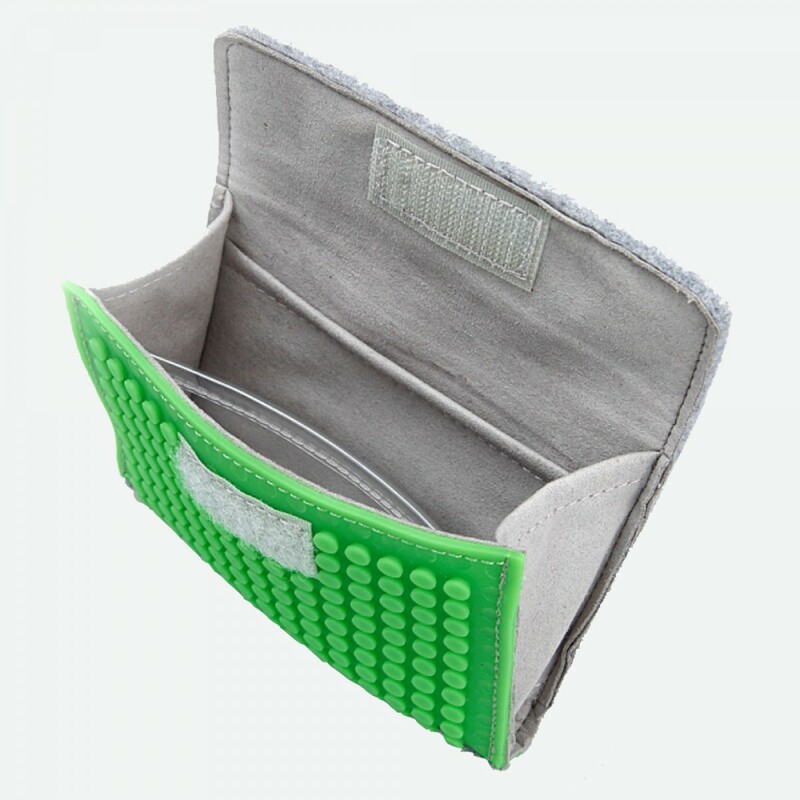 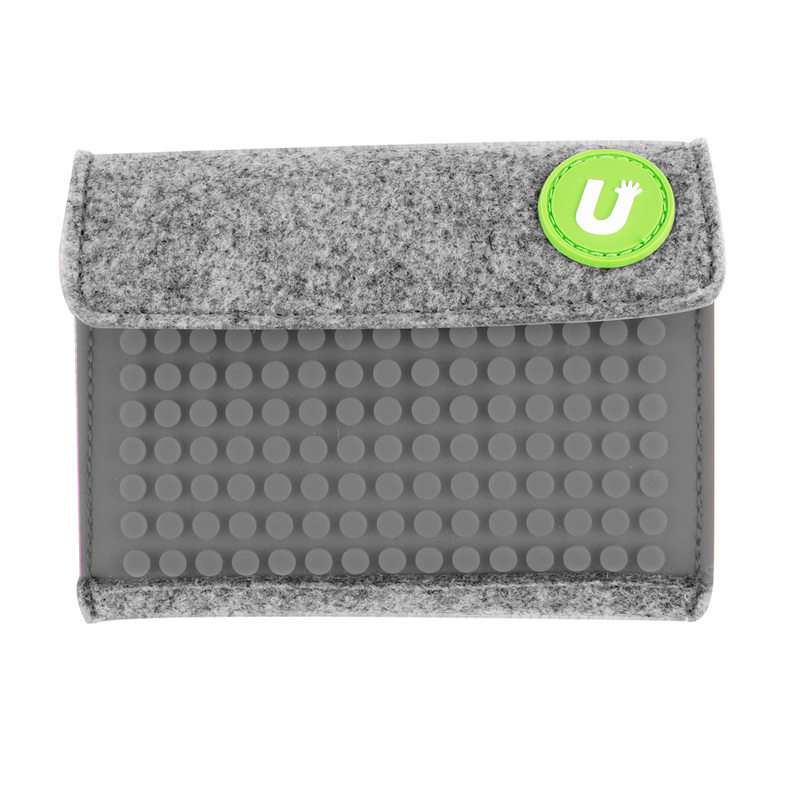 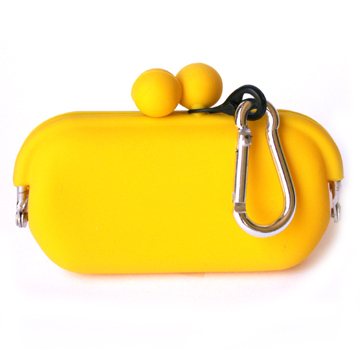 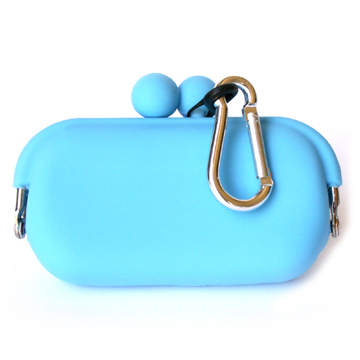 It has storage for your credit cards, banknotes and ID card. 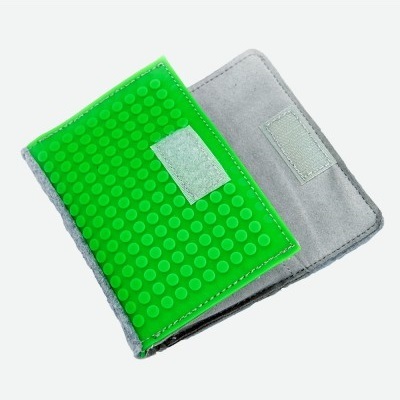 Together with the wallet you also get a set of approx. 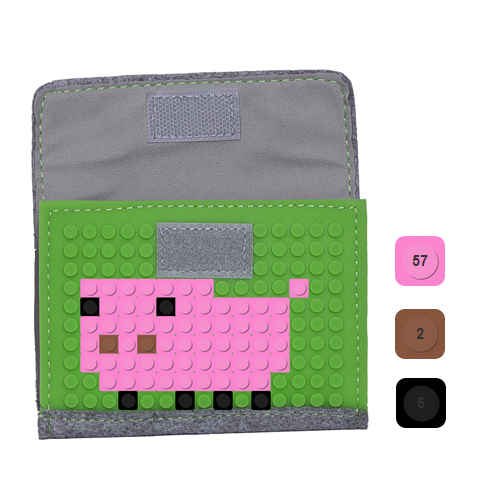 60 pixels with for free. 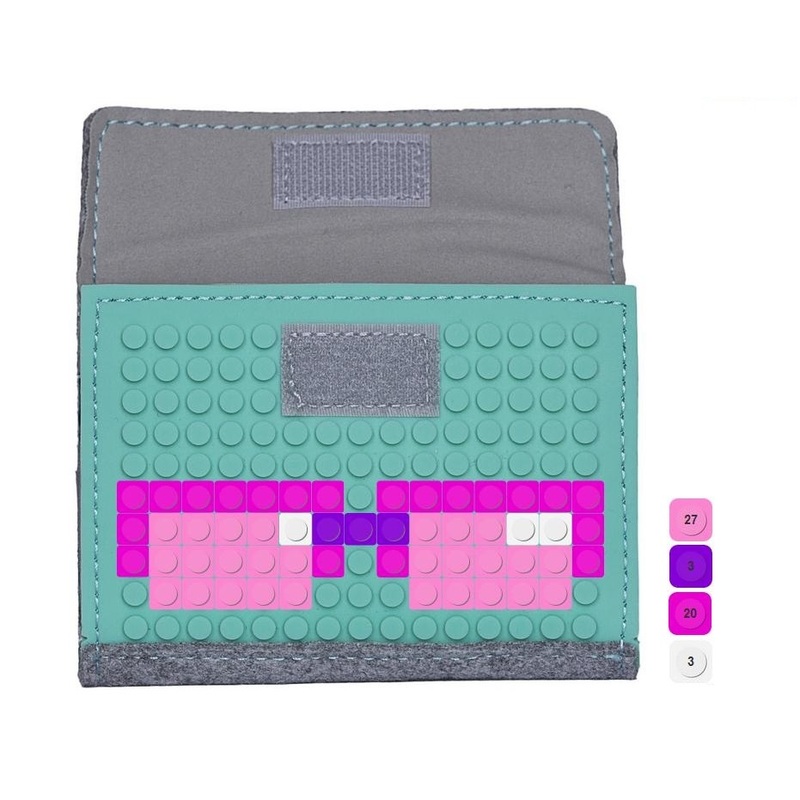 For more advanced designing you can also buy a set of pixel points in 24 colours.